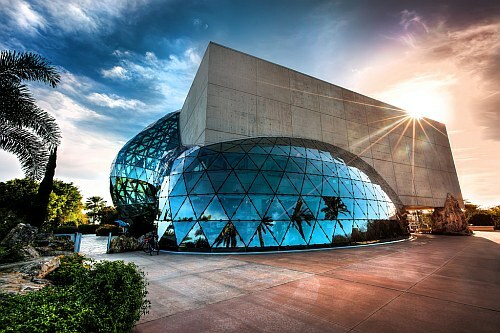 Sunwing has dropped the price of their January and early February flights from Toronto to St Petersburg / Tampa, Orlando, and Fort Lauderdale, Florida down to $254 CAD roundtrip including taxes. - the $229 roundtrip price is based on 2 people purchasing the flight. 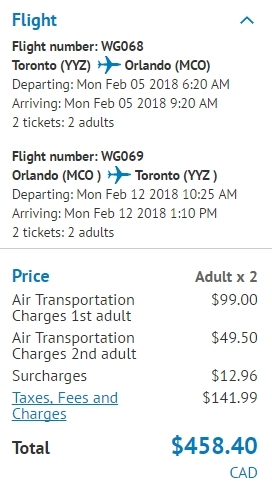 Sunwing offers a discount for the 2nd seat on certain dates. 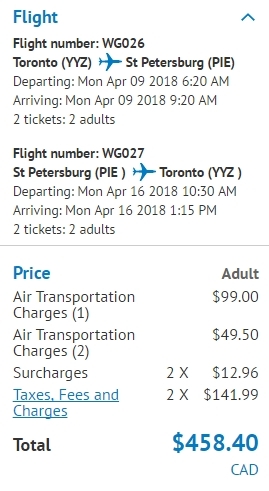 toronto, yyz, flight deals, united states, orlando, florida, mco, sunwing, st petersburg, north america and pie.